The busy rush of the holiday season makes blogging a challenge to fit into the hectic days. As a treat, I'm happy to have London based florist, Patricia Hall, take over for me this month to discuss the importance of flowers in adding color to your home. I'll be back in January to show you one of the many kitchens I worked on in 2011. I'm excited to show you the inspiration that my client and I worked with on the path towards the color palette for his family's dream kitchen. 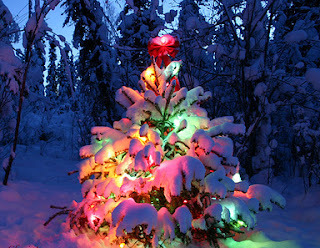 Until then, happy holidays and enjoy this lovely post from Patricia! No matter what the decorating style of a home is, adding the touch of flowers brings a new feeling of freshness, cheerfulness and peace. Each variety of flower and way of arranging fresh cut blossoms has its own touch of flair and way of setting the atmosphere. They bring a splash of color and brighten the appearance of any room in a simple, natural and unpretentious way. Instead of worrying about redecorating or repainting a room, focus on bringing flowers into your home to add the desired pop of color. For centuries, flowers have been prized for their beauty and color. Whether from the formal Language of the Flower, which attributed certain emotions to each variety, or simply from hours spent in a grandmother's flower garden, flowers have come to have special meanings. 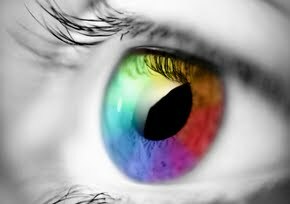 Much of this has to do with the unconscious part of the mind that attributes feelings to colors and shapes. Sunflowers give people an impression of cheerfulness because of the big size and bright yellow petals. A bouquet of baby's breath and white roses is romantic and subtle. These associations with certain flowers makes choosing the flowers to display easier, by turning the focus on the desired feel for the room. Keep these common impressions of flowers in mind when you order flowers for your home. What atmosphere do you want the room to have? Do you want to keep in style with the decor of the room or would you rather spice things up a bit? If you aren't sure, try lots of things. The wonderful thing about the short lifespan of flowers is that it gives you lots of room for change and different arrangements. To add excitement or cheerfulness, order flowers that are red, orange, bright yellow or hot pink. For a more peaceful atmosphere, choose soft pink, pale yellow, purple and blue arrangements that have lots of white and green in them. For a room that feels bland and boring and that needs a touch of cheery color, choose arrangements of bright, big flowers. Simple, symmetrical bouquets of daisies in bright pinks and oranges are stunning in the minimalist, modern room. If your decor isn't quite as simple, pick arrangements of flowers that are big combined with a few other varieties of complimenting blossoms. Once you've chosen your flower arrangement, it is key that you put it in a place in your home where they can shine. Pick a central location to display the flowers. The middle of the dining room table or a coffee table is a great choice. To let the flowers bring their perfect splash of color, clear clutter away so the eyes are naturally drawn to the arrangement. Think about pulling a few buds from the arrangement, cutting the stems and putting them in a tiny vase in the bathroom or on a windowsill. Having flowers in more than one place around the room spreads the color and warmth. If you don't want the flowers to be the centerpiece, pick a dull corner. 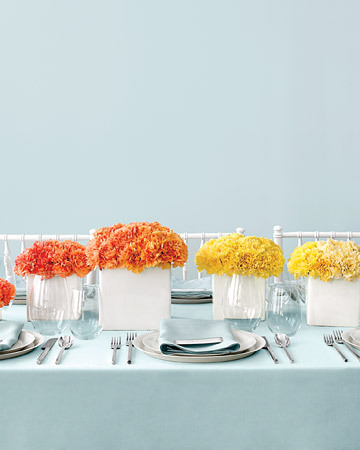 Balance the color in the room by putting the flowers where there isn't much brightness. Keep in mind that they'll flourish more near a window and the light will shine through the petals, but don't be afraid to brighten a darker part of the room with colorful flowers. 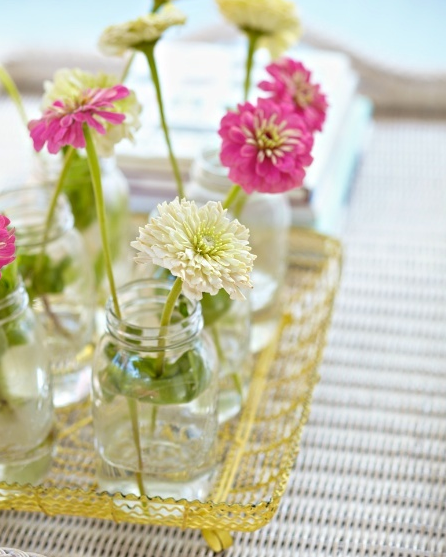 Instead of stressing the need for a change in decor, enjoy the effortless beauty of flowers. Flowers bring bright spots of color to rooms that need change. The freshness and natural beauty adds life and interest. Taking note of the atmosphere desired and flowers' natural personality will simplify the process of choosing flowers and changing the feeling of a room. Knowing where to place the arrangement will make the flowers change the room completely. Whether you want to brighten your own home or send flowers to a friend to share some color, don't settle for the first choice, but think about what feelings you want the fresh picked decor to bring and how you can make them a beautiful focal point in your home. Patricia Hall of Serenata Flowers works part-time for a London based florist but loves to surround herself with flowers at any given point of time. Even in her free time she loves to involve herself with everything flora and fauna. 'To me there is nothing more beautiful and global as the language of flowers - it is the easiest to understand all around the world in the same way. That is one reason why I truly admire flowers for what they represent in some ways - unity of all mankind! Copyright © Color Marie. All rights reserved.